Lovely heritage property currently being used as Student rentals called Ginger Beer Cottages. Home is perfect for this useage, both in\rlayout and location. Home is in great condition with numerous updates. 3 bay windows make the home very bright and airy. Most of\rthe roof shingles replace approximately 5 years ago, electrical updated approximately 7 years ago. All windows are updated to vinyl.\rHouse consists of 8 bedrooms and 5 bathrooms. Backyard is fenced in for privacy. Home can be sold with furnishings. Financials\rare attractive and show property is very lucrative. 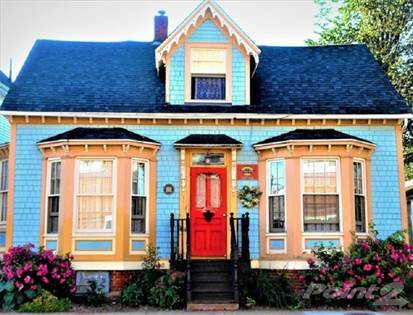 Located close to Holland College and UPEI. Close to downtown and shopping.\rPark your vehicle and walk all over the downtown with ease. Hi, I'd like to find out more information about 177 Euston St. Thanks so much!